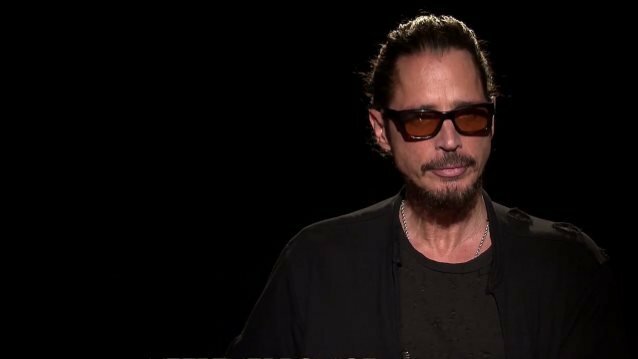 The Reelz cable network has set an August 12 premiere date for "Autopsy: The Last Hours Of Chris Cornell". Earlier in the year, the show's producers were at Shepherd's Bush Hall in England, where the program recreated SOUNDGARDEN's and singer Chris Cornell's last show at the Fox Theatre in Detroit. It was also revealed that British actor and singer Paul Ayres is portraying the late vocalist, who took his own life just a few hours after that concert. "Autopsy: The Last Hours Of…" is a documentary-style TV series that investigates the tragic, controversial and sudden deaths of celebrities. The series debuted in 2014 on Channel 5 in the United Kingdom and was later broadcast in the United States by Reelz. Chris was found hanged in his room at the MGM Grand Detroit hotel in May 2017. His body was found soon after he had spoken with a "slurred" voice to his wife, Vicky, by phone. The death was ruled a suicide. But his family has questioned the medical examiner's ruling, saying that he had a prescription for Ativan and that a higher than recommended dosage may have caused him to experience suicidal thoughts.